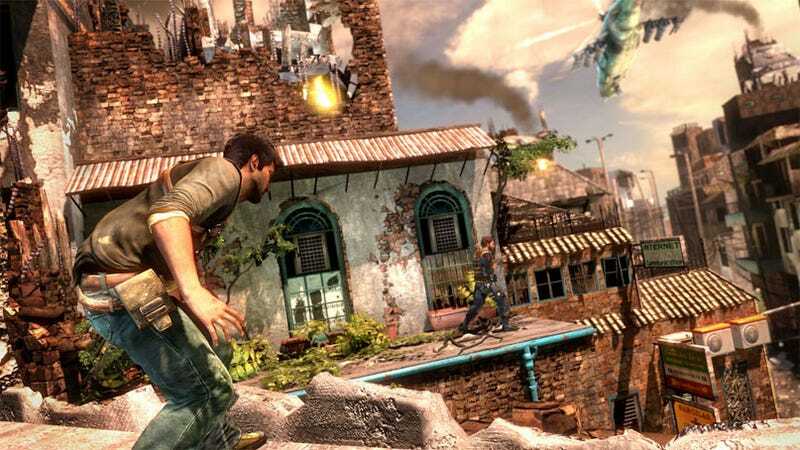 Want An Uncharted 2 Multiplayer Code? Reader Adam S. was kind enough to drop two codes for the multiplayer beta of Uncharted 2: Among Thieves on us, while Luke picked up ten while at E3. Hop on over to my twitter a bit later tonight, starting around 6 p.m. Mountain Time, to grab em. I'll be posting them in there with the first letter or number missing. First to figure it out gets the code. My Twitter account is crecenteb. Keep in mind this is a one-way deal, I have no way of knowing who actually gets the code and uses it to unlock the beta. Thanks and special thanks to Adam S.
UPDATE: That's it folks—all of the codes have been dumped in my Twitter. Thanks for playing. I'll try to do this occasionally via Tweet, though likely without a heads-up post.